The Resident Tourist: Let's Go Nuts . . .
Let's Go Nuts . . .
Good morning! My mom sent me this NYTimes article a few days ago, and I thought it was important enough to share as a health post. I've always thought of nuts as a power food - a good source of protein and fiber to give me energy and keep me full. I often grab a handful as a quick snack or use them as a topping to a meal. I never realized though, just how powerful nuts really are - the health benefits are incredible. 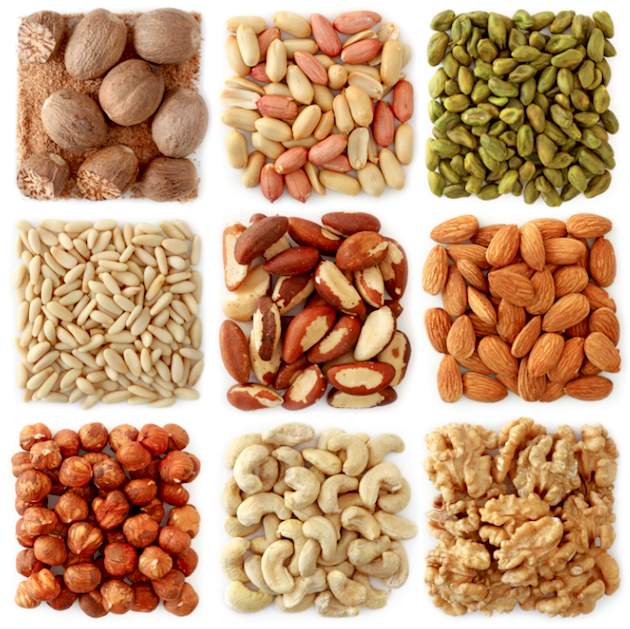 Clinical studies have found that those who eat nuts weigh less and have less body fat than non-nut-eaters. Even more impressive, a series of studies has shown that the more nuts people consume the less likely they are to die of cancer, heart disease, or stroke. Sign me up, right?! One warning that I have to include: when purchasing nuts and nut butters of any kind, always read the ingredients. Make sure there aren't any additives (sugar, hydrogenated oil, etc.) included, and that the only ingredients listed are the pure nuts themselves. What are your favorite nut recipes? Claire Flowers Heels . . .
Film Society of Lincoln Center . . .
Breakfast in Bed with Macaron Cafe . . .
Four Year Anniversary . . .
4-7-8 Breathing . . .
Spring To Do List . . .
Putt Putt Park . . .